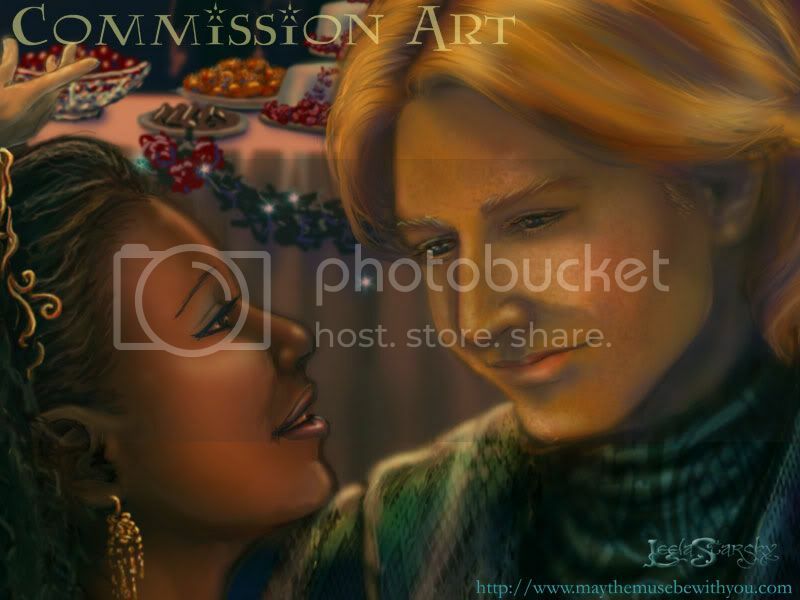 Oh gosh, Fred/Angelina art! And so utterly gorgeous. 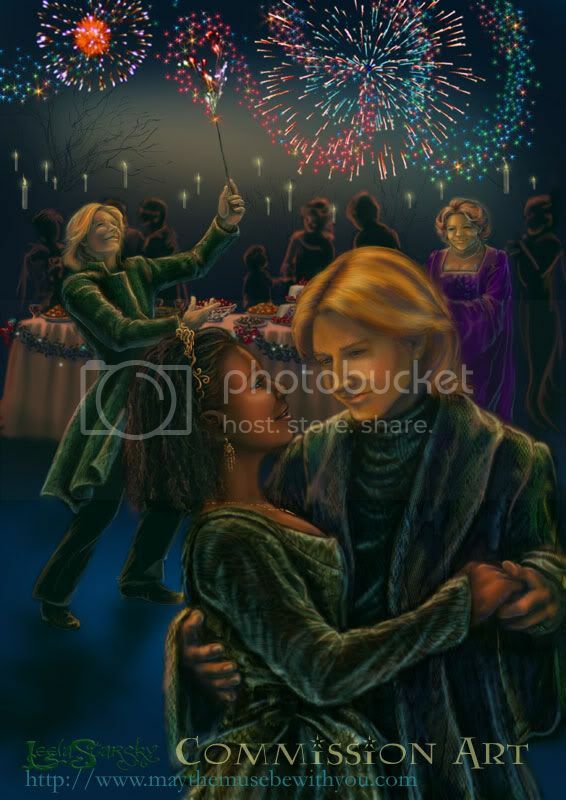 The fireworks are wonderful and the textures of their clothing. I love the snake skin in the twins' jackets. Thanks! (psst - dragon hide! ;~) ) And your icon is gorgeous! !